Bonjour lecteurs! I hope you are making the most of this gorgeous weather. Apparently, today is one of the hottest days in 2017! I am so happy it is so nice! We had a fabulous week and what a better way to finish it up with a great fashion post! Today, I am very proud to present to you Baba Fashionista with Papouelli. 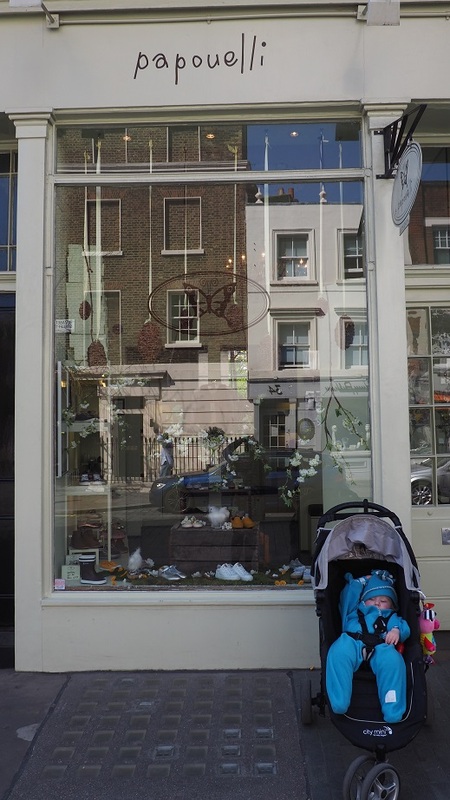 This London based brand for mothers in the know presents you with stylish shoes designed for children. I am very excited to have them on the blog and even happier to be able to offer you with the chance to win a £50 voucher to spend with this gorgeous brand!! !Yes, we have a GIVEAWAY at the end of this post so go for it! Papouelli Shoes for Children was founded in 2003 by Nicole Robinson and Maggie Snouck, with Felicia Brocklebank joining as the third partner in 2010. They all started their career in different areas but they had something in common: they all have children and love shoes! Well, something similar to Frenchie Mummy as I happen to have a (quite) famous Baba and I am indeed a bit of a shoe addict myself! The aim at Papouelli is to create shoes that are beautiful, classically timeless but with a contemporary edge, not forgetting that children are children, so the shoes must be practical. No doubt the founders of this fab brand are mamans. They know exactly how important is it to find the perfect pair of shoes (especially the first pair). But yet, they create some pretty designs to make our little one feel super special! I am already in love! 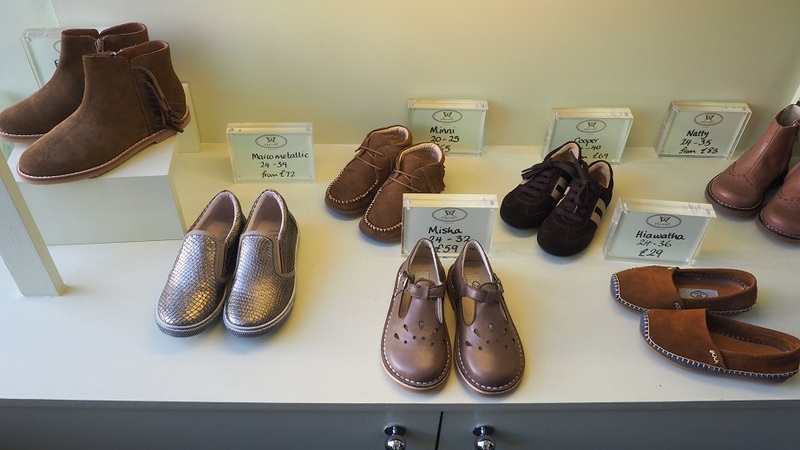 Papouelli has specifically included larger children’s sizes (38-45) in their range as they found that, as their own children were getting older, beautiful shoes in these sizes were increasingly hard to find. I truly believe that they have a point here. And I will tell you what. When I went to one of their shops to get Baba his pair of shoes to write this review, I saw some amazing models that I would love buying for myself! Having such a large choice of sizes, why should you only treat your little one? Go on, have fun and get a pair of shoes for yourself! I know what you are going to say. 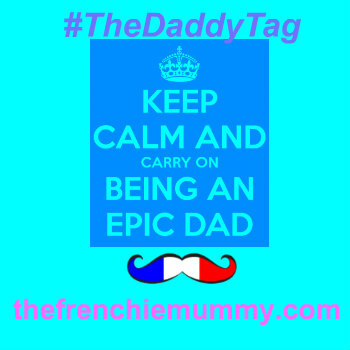 ‘It sounds fabulous Frenchie Mummy!’ Well, that’s not all! This season, the brand introduced a small clothing collection for the first time. How parfait to have le total look! And they will add more with each new season. How exciting! 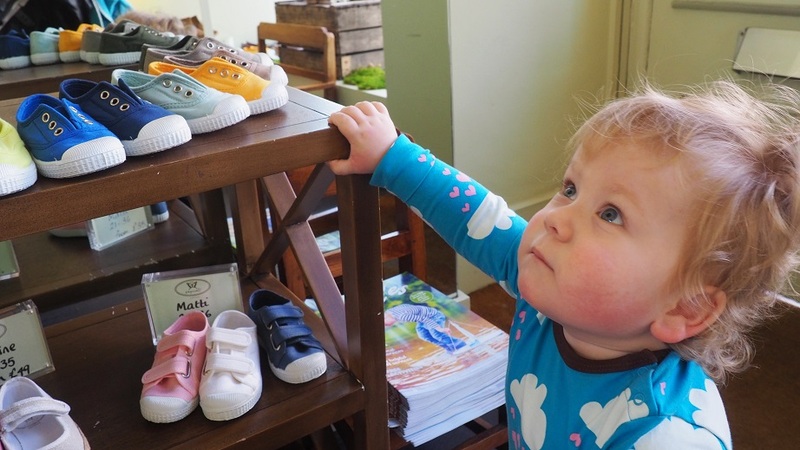 We were lucky enough to visit one of the brand’s stores to choose la parfaite paire de chaussures for Baba. I must admit it was quite a difficult mission! First, Baba fell asleep on the train to Victoria and I didn’t feel like waking him up as he was so peaceful. Therefore I went shopping! Once the famous Frenchie bébé woke up and was really in the mood for it, I made my way to one of Papouelli’s boutiques. Maybe one is local to you? 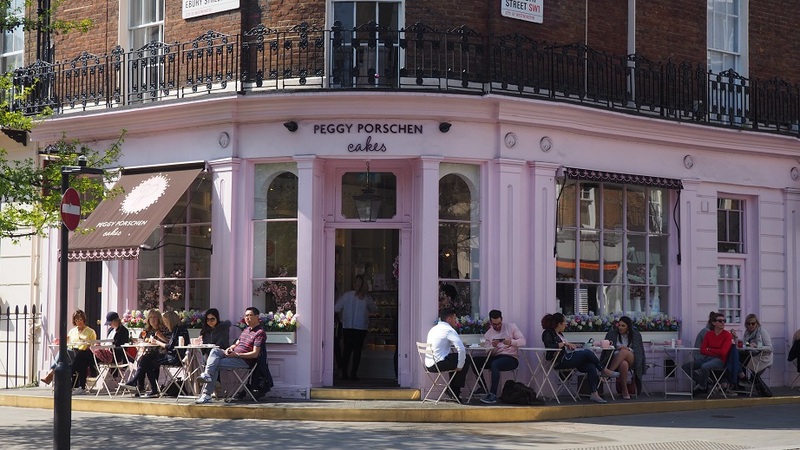 If not, pas de panique, we have here all the addresses for you to stop by next time you are in London! You see, easy! We gave you it all! So we went to the first branch and we happen to be easily off task… Bien sûr! As soon as I found la boutique branchée, there happened to be a cake shop next to it! An obstacle to conquer! We did it, no problem! Don’t you worry! Frenchie Mummy didn’t get distracted and we arrived at Papouelli very quickly! …and it was so lovely! I must say that finding the right pair of shoes for Baba was so easy! Once we arrived, the shop assistant was just lovely and we started trying many models. Baba was eager to be part of it and was happy to give his opinion. The shop was full of gorgeous shoes. Baba was impressed with the choice of styles as well as the furniture while Frenchie Mummy was amazed by the décor and the gorgeous atmosphere. Frenchie Mummy loved the atmosphere in the boutique. A great start!And look at all these fabulous shoes! While we were trying on different pairs of shoes, the shop assistant shared her best tips about their care. 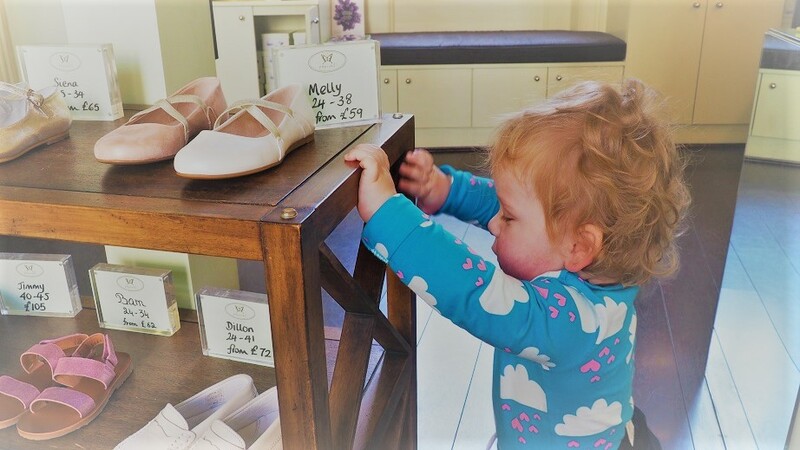 We talked about how to find the perfect first shoes for le bébé (don’t be tempted to get a size up to keep them longer as it will be too big!) as well as what leather was best for their first steps. It must be a good leather not too tight so that the little one can be comfy enough to make a move! After having tried the Matti which is an easy and practical velcro canvas shoe, we eventually made our mind up. I went for a model called ‘George’. We first got our eyes on the ‘Matti’ model. We will get them next! 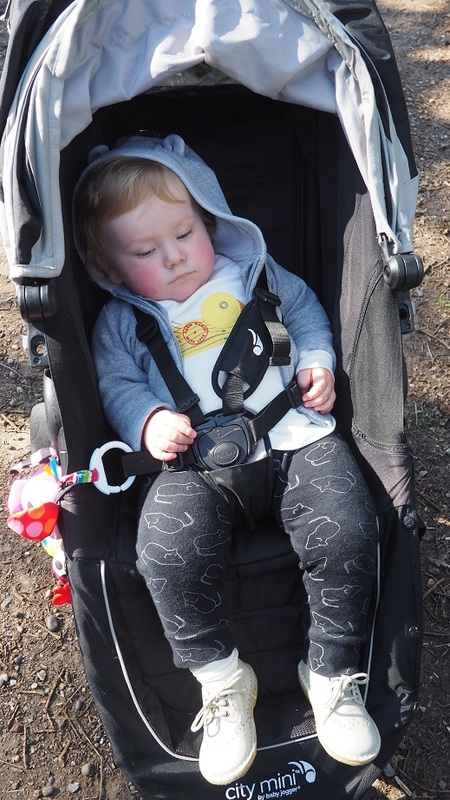 So here are the shoes we selected for this review: the ‘George’, a sumptuous lace-up pair of shoes for little boys and girls, suitable for any occasion. The final choice and the winner is… George! You could choose from a range of colours on the website but I selected them in beige as I thought that it would be parfait for the next season. 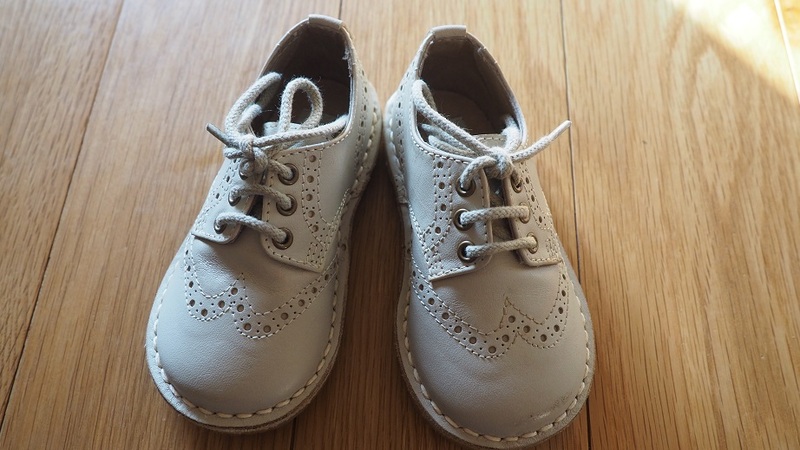 Made of fully flexible crepe sole, those shoes are perfect for a first walker like Baba. I loved the style straight away. Those shoes represent so well the brand. They are truly gorgeous, classically timeless and yet with a contemporary edge. They are also extremely comfy. Baba didn’t hesitate a second to make some steps as soon as he started wearing them. Le bébé was well confident in them straight away! The colour is divine and they are extremely light, which is a massive bonus. As Baba is only starting to make his first moves, I want to make sure that he doesn’t feel uncomfortable and he is feeling like he can go for it anytime! This light beige is parfait for the season and also happens to match many Baba’s outfits. Rocking it with another outfit the day after our visit to Papouelli! Le petit plus? I was quick to fall in love with those shoes as soon as Baba put them on. Mais, I must admit that when the sales assistant told me that Prince George wore the same model on an official trip, I was definitely going home with them! 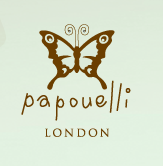 Papouelli is not only a fabulous name with a great logo. Their collection are truly stunning and so stylish! We selected the ‘George’ to write this review, but I could have chosen so many other shoes. The boutique we visited in Belgravia was full of wonders. All the models we saw were truly incredible. I am in love with Baba’s shoes! Not only they are très chic, but they also look so contemporary. 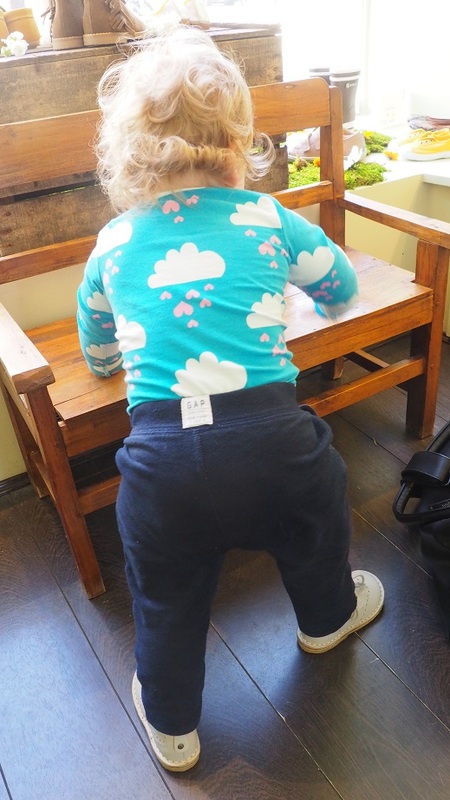 More importantly, they are comfy and so light my baby can walk at his own pace with confidence. 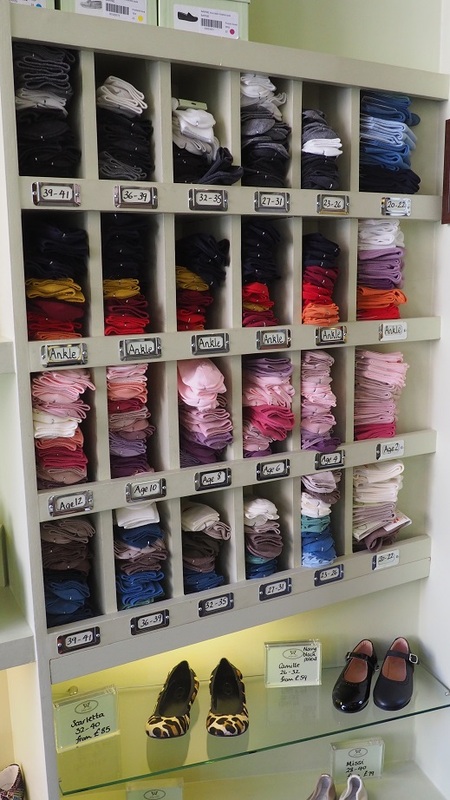 Papouelli offers you a great fitting service (you can also follow it on their website if you prefer ordering online!) and you are sure to be happy with les chaussures you select. I love so many things about Baba’s new shoes: the colour (perfect for the summer), the fact that they are so easy to put on and so much more! They are truly gorgeous, made of great material, well cut and so stylish! My Baba looks like a little prince and I am confident that he is comfy wearing them! Le rêve for the first pair of shoes! 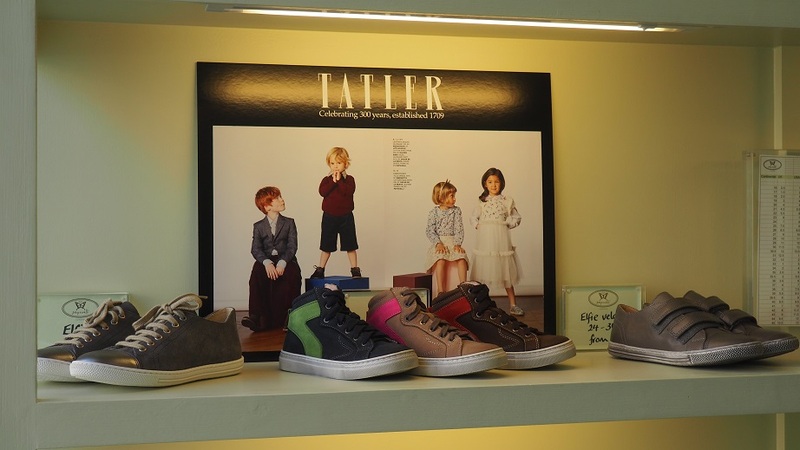 If you want our children to look fashionable, but yet feel good in their shoes, then don’t look further, Papouelli is the place for you! Can’t you make it to London? Then visit their gorgeous website! There is no way you can resist! A collection you will fall in love with! Baba Fashionista with Papouelli– GIVEAWAY!!!!! I hope you enjoyed reading Baba Fashionista with Papouelli and you will come back for the future Baba Fashionista post next week. We have a lot of great brands like this one coming up in the next few weeks. I am so proud of featuring such stunning labels to you each week! As you can see, I truly love fashion and discovering gorgeous shops such as Papouelli is such a pleasure! I am sure you will fall in love with this irresistible label, so here is your chance to win a £50 voucher to spend with the brand. 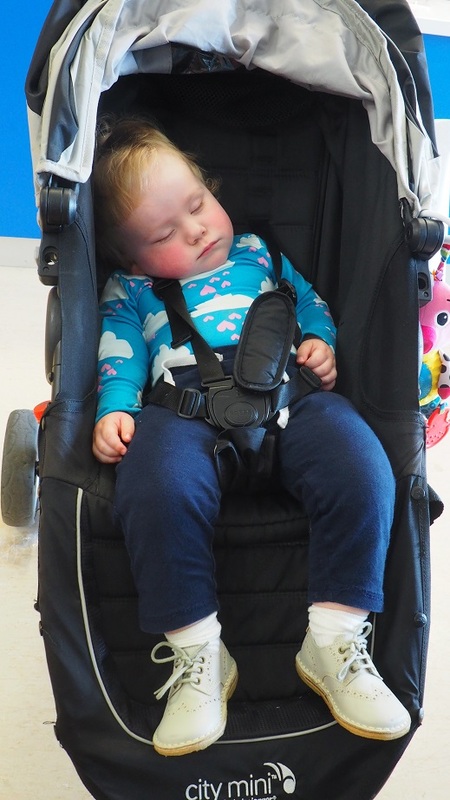 You want your little one to be that fashionable, even when they are asleep? Then enter our new Frenchie competition! Win a fabulous prize now! Thanks again for reading our fashion series this week with Baba Fashionista with Papouelli. Now time to win a £50 voucher to spend with them and treat your little one to some fabulous chaussures! Enter via Gleam below for a chance to win this gorgeous Frenchie prize! This giveaway starts on Sunday 9th April at 12 pm and ends at midnight on Monday 8th May 2017. The closing date is 11:59 pm on Monday 8th May 2017. Provision of the prize is the responsibility Papouelli. Great review – those shoes look great quality and a lovely selection of styles! Thank you! Thanks for a fab review! These shoes look fantastic and brilliant quality. These look fantastic. I would love to get my daughter a good pair of school shoes. Nice useful prize for a practical gift. These shoes look fab! They look like great quality. Papouelli sounds like an amazing brand and their new range for Spring and Summer looks fab. Definately worth taking a good look around. All the designs are so chic! I really love your writing style. 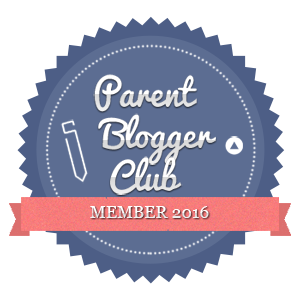 This blog is a pleasure to read & thanks so much for this wonderful chance to win. I would like to treat my 6 month old nephew to a cool new outfit. These look so lovely! Cora will need first shoes soon so I will have to check them out! Amazing giveaway. would love a pair of shoes for my little one. Thanks for the chance. Goodness, these shoes are divine! So many funky and practical shoes on their website! Great giveaway! Thank you for the chance to win for my little boy! Those shoes look lovely. Thanks for this amazing giveaway, they have some beautiful kids shoes to choose from. What a super range – they are so lovely! So many nice shoes to choose from! Fab giveaway. They look lovely. My little one would be one step ahead with these fabulous shoes! These shoes look lovely quality, would love to win for my baby Grace. Thanks for the chance to win! lots of lovely kids shoes, and I could even get a pair for myself because they do larger sizes. I think their shoes are amazing!